I would like to personally thank each and everyone of you for your support and belief in our company. In the past year, we have successfully served more than 22,000 customers across the globe with our premium essentials at an honest price. In light of recent development, we have encountered a roadblock, and we are no longer able to sustain the company to serve more customers. I’d like to borrow a few minutes of your time to read on and understand the situation a little better. ...difficult to generate enough income to improve or expand the team to sustain the business. Our employees are everything. All of the founders, including me, do not wish to underpay anyone in order to “cut cost” nor are we comfortable with cutting back on the quality of our products as we stand very firmly on our belief of “Premium Quality, Honest Price”. 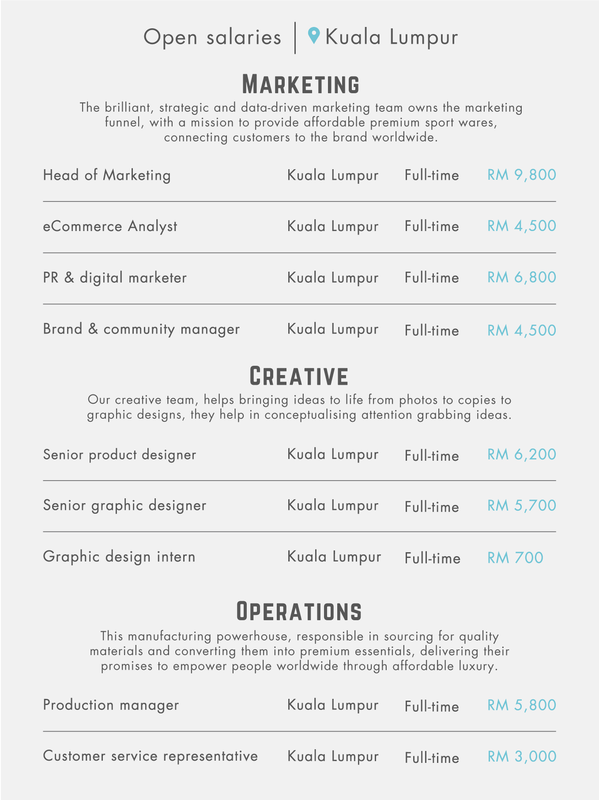 We ourselves are receiving pay equivalent to our employees as we believe in building the brand together and would prefer most of profit to be reinvested into the company. As mentioned previously, we have met with a few roadblocks and we are no longer able to sustain the company without making changes to our cost structure and pricing. With our mission to source for the best materials in mind, we travel across the world to find just that. Different materials are made in different parts of the world and at the end of the day, we are slaves to the fluctuating currency. We are not willing to get cheaper materials just to offer the item at a lower price hence why, this is something that we are affected by, greatly. We try to absorb as much taxes and duties as we can such as goods and services tax, import and export duties. These are the 3 main taxes that are costing us an arm and a leg. At this point, with the fluctuation in currency, we are no longer making enough profit as you know, we do earn at a low margin & high volume. At this point, the volume is not enough to sustain the costs incurred. We do extreme research and development for all of our products in order to get the best materials at the lowest price. With that comes a high cost of travelling, purchasing and shipping of samples. 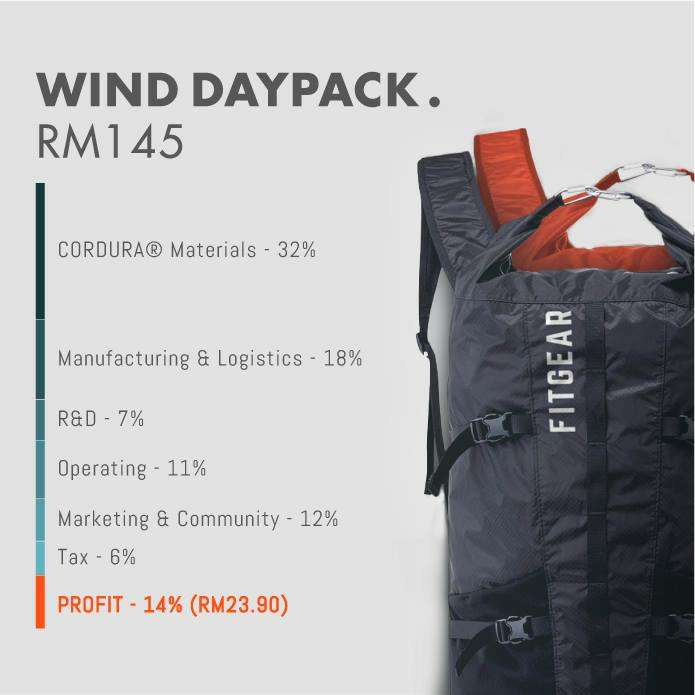 We had 13 samples and amendments for our WIND DAYPACK before we finalised on the final product. You can imagine how much we’ve paid for shipping and taxes for those samples. nor we want to compromise our belief for premium quality products just to survive. We still believe that our products are still at a very affordable and most importantly— honest price. of our products to match our profit margin back to when we first started the company. With this in mind, we are expecting to expand the company further and provide better services and products. This is not something we can do overnight so what we’re doing is hoping that most of you will bear with us during the transition. This will start the 1st of May when new batch of our products as well as new samples for our next series, the bottom series, come in. Below are the new prices for our products starting on the 30th of April. The new pricing starts on the 30th of April. While stocks last. 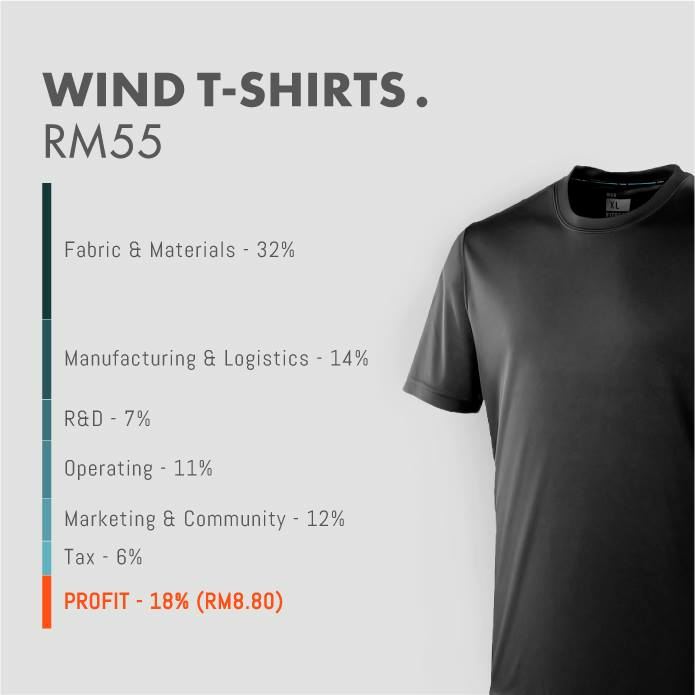 As you can see, with the adjusted prices, our profit margin remains as we do not believe in fluctuating prices in order to earn more to expand faster and get more profit because at the end of the day, that is not what us, the founders, want. "We still stand by firmly by our honest pricing and we hope you will, too. " We will also continue using our Pre-order model as that is a big part of the foundation of our business and we will still be providing early bird pricing & access to those that are in our community so do make sure you’re a part of it to enjoy these privileges. 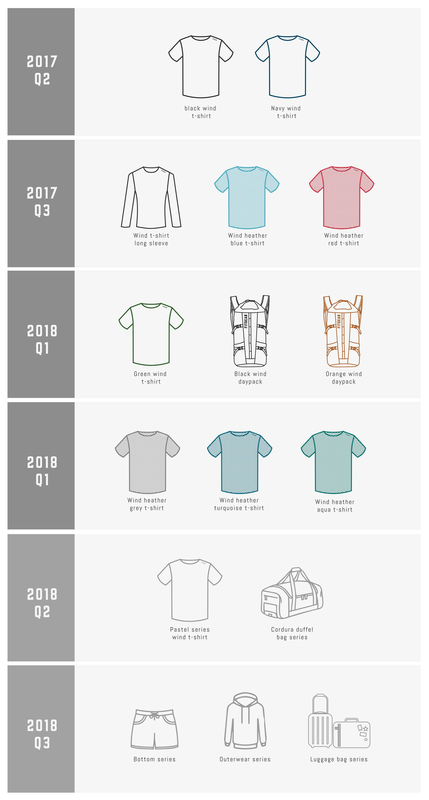 I have a timeline of product releases below and we will need your help to help us achieve them. Without the resources, we won’t be able to pay our staffs and the expense of research and development. I’d like to sincerely thank everybody that have supported our brand as we only want to deliver the best to all of you. On behalf of everyone at FITGEAR, thank you so much for supporting our mission to empower more people worldwide to #TravelLight. We hope to see you all of you, at the top. Share FITGEAR with your friends, we need your support. The new pricing starts 30th of April.